So funny!! I love the girls/the boys night(s)!! What a good retirement plan! You're the only one who can turn a Toulon story fun and hype!! Hmm, and isn't the bar in LPV up for sale? I can see an excellent new career here - Tom Cruise and Bryan Brown eat your heart out. i know you wrote about the boys "being up to no good" but i just can´t stop thinking about sipping rosé somewhere at the cote d´azur, haha, help!!! Sounds like a great weekend! love that the girls are sipping rose and the boys are pubbing it up!!!! I would love a weekend of rose! Ahhhhh a weekend near the water, tons of rose and the opportunity to call your husband, "Captain Obviousso" fantastic! The perfect weekend and I love the retirement plan!! Lucky you that you went to the game! I was offered free tickets by one of my company's reps and had to turn them down due to a previous engagement (which was not as cool!) We could have meet on a happy accident! 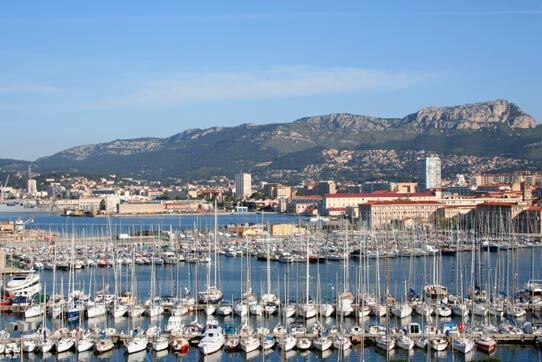 You're only 2 hrs from the Cote d'Azur? That's incred. That game sounds like sooo much fun though. I want an athlete-friend! yeahh girl - you shake that money maker in those 6" heels! rock it out! this sounds like a perf weekend! Hahahaha...I would love to see pictures of this whole deal! Sounds like a perfect weekend to me! I am not sure anyone will hire him since they will soon figure out he is willing to tend bar even if you don't pay him. work behind a bar.....or open up a sandwich shack! Your weekend stories always make me laugh. Tee-hee tee-hee...you are a very funny woman, SL of LPV. I'm a new follower! I really like your writing style. Its fresh and funny and different.